First of all, before we start reviewing the best free Joomla hosting solutions, let us say few words about Joomla CMS itself. 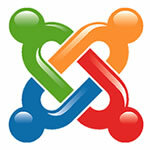 So, unlike WordPress which is geared for smaller blogs and websites with less multimedia, Joomla is a true CMS (content management system), the one that supports multiple content types, has an extremely good taxonomy and comes with a great Joomla community plus some of the best templates that we can see and download around. With all these features, Joomla can look challenging and while the installation process is pretty straightforward, if you’re not familiar with PHP and MySQL it can be a little much to handle. Web hosts know this and as such many the services of easy installation and configuration of Joomla web site where the entire installation is handled by the host, and many will even offer free upgrades when needed. There are quite a few free hosting providers that support Joomla hosting free options at their hosting platform, however, we’d suggest to consider the following web host that in our opinion provides some of the best free Joomla hosting in terms of available features and offered services. Biz.nf provides all-in-one free Joomla hosting plan with 250MB of web space, 5000 MB of monthly transfer and a free domain with .co.nf extension (www.yourdomain.co.nf). The free plan includes “one click” Joomla installation and automatic configuration of Joomla site that comes with many free Joomla site templates and Joomla extensions. You might also want to consider the possibility to obtain a “free hosting” for your Joomla site by purchasing a low cost web hosting plan from some of the solid web hosting providers that offer special “free Joomla hosting” packages that include easy one-click Joomla installation, automatic configuration of Joomla site and dedicated support of your Joomla web site hosted with them. » some more cheap web hosting providers that support Joomla site hosting are represented on our web page dedicated to the best web hosting services. » How to register a free domain name? I am looking best possible hosting for my new website, but don’t know it works, your this post gives me chance to learn how joomla works on biz.nf, hope this will work, thanks.